Area homeowners are turning to Realtors like the Holmquist Team to take advantage of a federal program designed to help homeowners who are drowning in debt and facing foreclosure. That program is slated this year. New Jersey ranks fourth in the nation in homes with delinquent mortgages, according to the Otteau Valuation Group, a well-respected real estate appraising company. 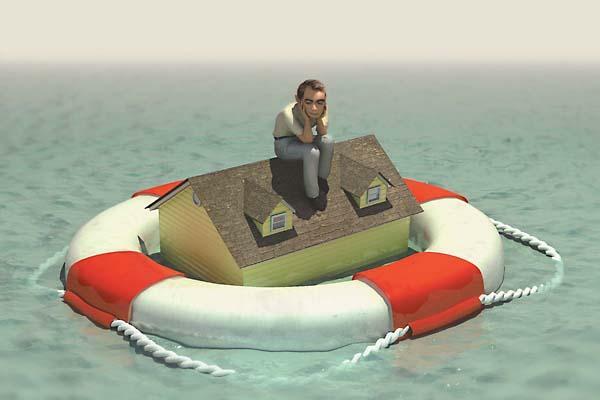 One in six home loans is “underwater” in New Jersey. Homeowners in this situation, however, should be reaching out to knowledgeable Realtors who can help them navigate various private, state and federal programs to help them reduce their loans or sell their home before losing it foreclosure. Homeowners who are overwhelmed by their mortgage should contact the Holmquist Team or another Realtor to explore their options before they lose their home to foreclosure. Short sales are one tool to get homeowners out from under an oppressive mortgage. For qualifying homeowners, a group of federal programs called Home Affordable Foreclosure Alternatives is an excellent way to get out of a home you can no longer afford and still be able to move on with your life. Under the HAFA program, you may be able to sell your home through a short sale or through a deed-in-lieu of foreclosure, where you give the home back to the bank. The program applies to homes that are principal residences with a mortgage under $729,750 that was obtained on or before Jan. 1, 2009. The homeowner also has to be able to document financial hardship. The program applies only to homes with mortgages owned or guaranteed by Fannie Mae and Freddie Mac, although there are other programs available for in-trouble homeowners with VA, FHA and USDA mortgages. HAFA gives you $3,000 in relocation assistance. While there’s some discussion of the program being extended, right now the program is slated to end Dec. 31, 2012. If you’re a homeowner in trouble, now is the time to make a move. You should start by contacting The Holmquist Team or another Realtor who is knowledgeable in distressed sales and in HAFA. He or she can help you understand what options you have, what you need to do to get your home ready to sell and, perhaps, where you can live next. An agent also should have the proper contacts to work on your behalf with lenders and attorneys. You may also wish to attend a workshop on short sales and other tactics to avoid foreclosures that is slated for 7 p.m. March 5 at the Publick House Restaurant in Chester. It will feature Kelly Holmquist, broker-sales associate and leader of The Holmquist Team of Keller Williams Towne Square Realty. Also featured will be Martin D. Eagan, a Morristownattorney who specializes in distressed real estate sales. The pair will discuss the HAFA program and other alternatives. Information is available at www.theholmquistteam.net or by calling the office at (908) 867-7109. There are many alternatives to having a home taken by foreclosure, but homeowners need to give themselves ample time to investigate and take advantage of those programs. Those who need to get out of a mortgage that has them “underwater” should call a Realtor today to explore their options.